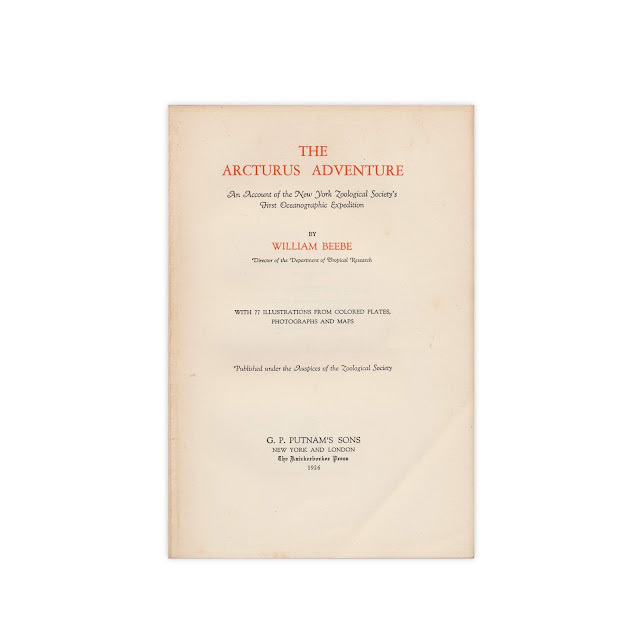 This 6 x 9 inch color print comes from the 1926 book "The Arcturus Adventure" by William Beebe, an account of the New York Zoological Society's first oceanographic expedition. 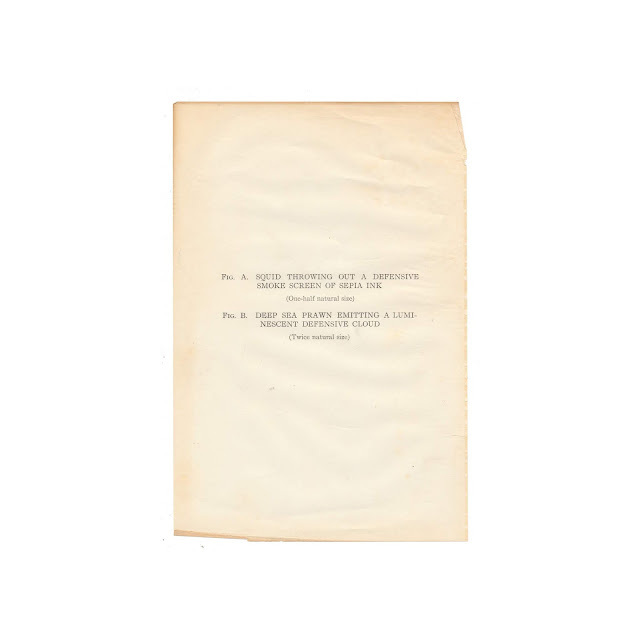 The print is subtitled "1. Squid Throwing Out A Defensive Smoke Screen of Sepia Ink 2. 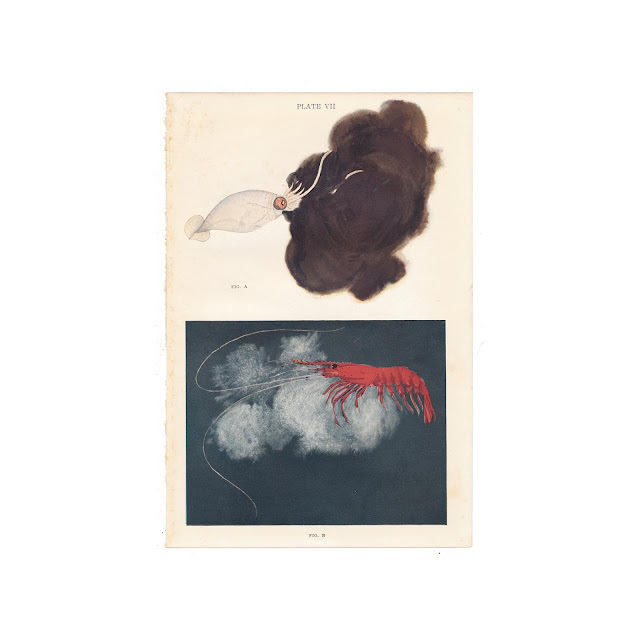 Deep Sea Prawn Emitting a Luminescent Defensive Cloud." Paper shows some light soil, foxing. Rough edge where it was bound into the book. Original tissueguard with print details is included. Title page from the original book shown for informational purposes and is not included with the sale.